Demolish Dry, Rough & Frizzy Barnets For Good! Not all of us are lucky enough to be blessed with gorgeous, hydrated tresses and sometimes we just need that little moisture injection to keep our hair in check especially in the summer months. 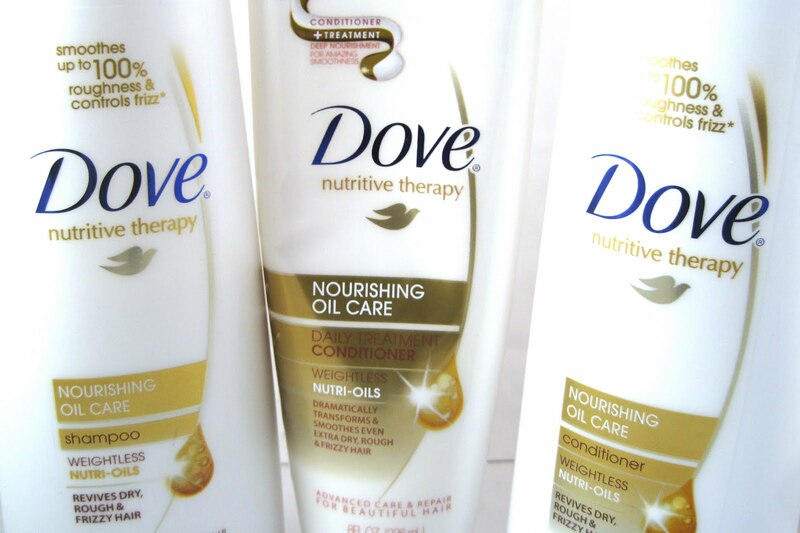 Dove brings an innovative new hair care range using coconut and almond oil extracts. Oils have been used for years as a well known method of moisturising, hydrating and strengthening both hair and skin. Whilst some oils tend to sit on the hair weighing it down resulting in a greasy look, Dove has used coconut and almond oils which can easily penetrate and absorb into the hair. The Nourishing Oil shampoo and Conditioner smooths 100% of roughness which means you can demolish the frizz instantly! The formula contains weightless Nutri-Oils which replaces lipids lost from the hair. Lipids are essential for the hair as they hold protein in place maintaining that gorgeous, healthy look. Also containing high levels of Omega 9, a source naturally found in almond oil the damaged cellular structure of the hair can successfully be rebuilt. We simply love this hair care range, it leaves your hair not only in healthy condition but it dazzles with shine and smells simply delicious! Get the complete range now from any major supermarket & chemist!